Astronest may well be one of the grandfathers of the casual “progress” games. It started as a web-based game in 2000, developed by a Korean company AN Games. 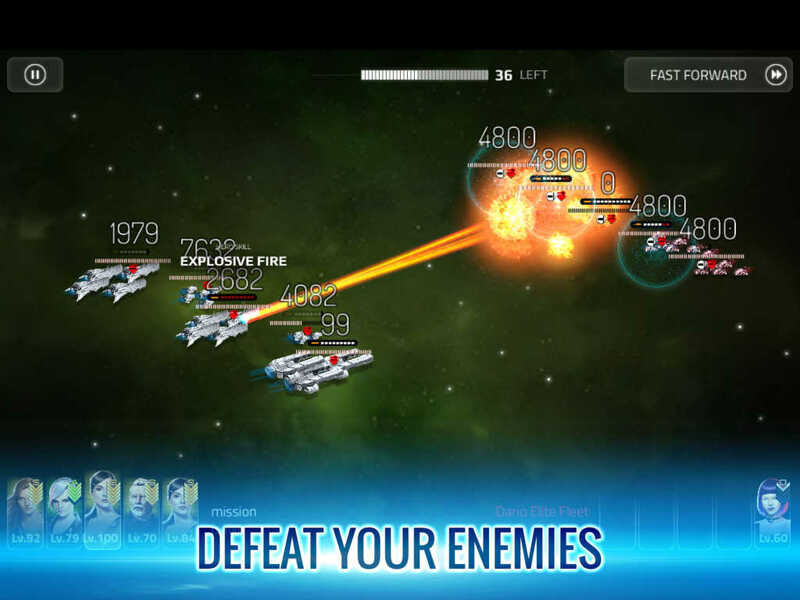 In 2014 they re-created the game as an app title for iOS and Android, calling it Astronest: The Beginning. The setting is science fiction and the action revolves around battling space fleets. The actual battles are very simple, two fleets approach one another, firing their weapons until one of them is destroyed or time runs out. There is no involvement by the player once a battle is underway. The real gameplay in Astronest is in preparing your ships for combat. The ships themselves come in 4 flavors: Destroyers, Cruisers, Battleships, and Motherships. There are four classes of weapons and an array of different equipment for the ships: engines, armor, and special modules. There is a rock paper scissors type relationship between the ships and weapons. There are tradeoffs between durability and firepower, accuracy and damage, and range. 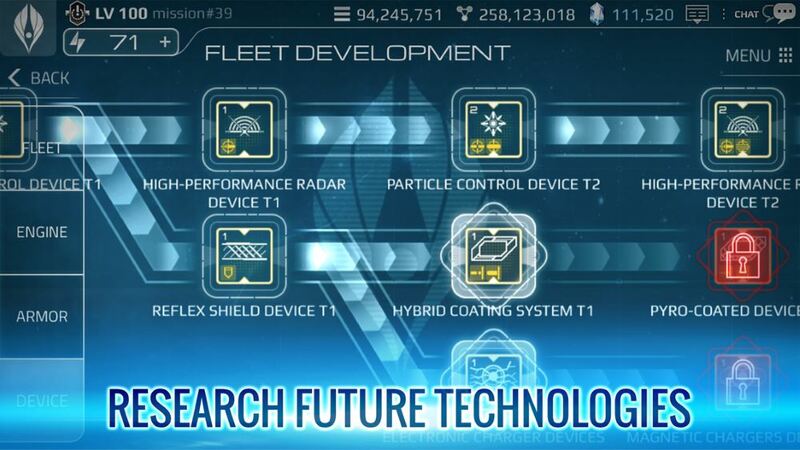 All the ships and equipment can be researched to discover new tools or upgrade existing ones. There are tech trees for all the ship types and weapons, as well as powerful alien technology which you reverse engineer from captured alien wreckage. In addition to your fleet, you manage a collection of plants that supply resources for research, building ships and supplying ships. Each planet has 6 building types that you can upgrade to provide more resources on a regular basis. Last, but far from least, you have a stable of heroes who can command your fleets or govern your planets. They come in different “ranks” according to rarity and power, and also level up as you play. Each has a unique stats showing how good they are at fleet offense, fleet defense, leadership, and governance. Higher rank heroes also have special Skills and Abilities. 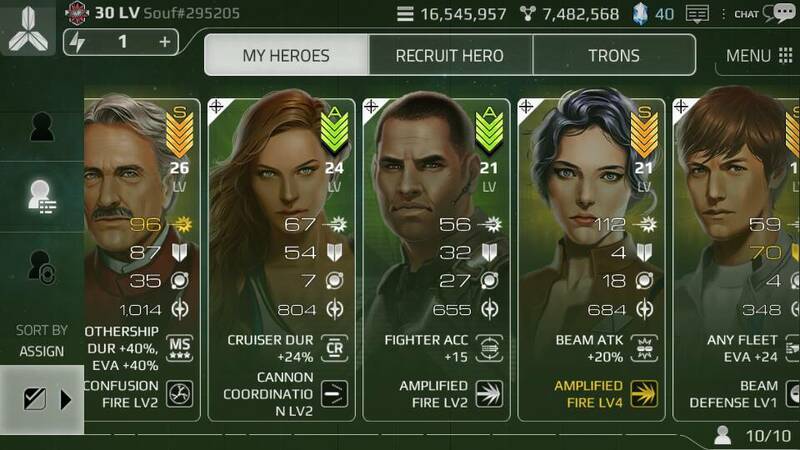 You can craft devices that boost your heroes abilities, and devices that boost the devices. Underlying all of this are a wide range of currencies and resources to acquire and manage. Some come from your planets, others from participation in various types of battles, and some you receive as gifts from the game or other players. All in all, it is an intricate web of resource and time management that can seem mystifying at first but becomes clear as you play. The game is free but has many opportunities to buy resources with cash. I found the game very playable at mid and low levels without spending any money and I have not been tempted to spend any. Like many such games, spending money essentially speeds you along in progressing into the later stages of the game. At first, I found the game bewildering, but sticking with it and experimenting cleared up the mysteries without having to go online. The tutorial aspects of the game do a decent job with taking you on a tour, but not so great a job explaining what you are doing or why. Like many such games, you can’t every really go backward so there is no harm in experimenting. I like how pure the gameplay is in Astronest. This is a game about leveling up. The battles are not so much a focus of the game as the measure of how well you have leveled, feedback for you to judge if you are making good or poor decisions. There is even an option to simply have the gameplay the battles for you, which I use most of the time once I discovered it. I like that Astronest is not just about who has the highest level. There is a big difference between someone at level 40 that has built a well-ordered fleet and someone who has simply rocketed their way up to level 40. Play it smart and you will crush those who have not. The higher you go, the more savvy players you will encounter and the stiffer the challenge. While it isn’t a game that keeps me up at night devising new strategies, I find it works very well as a game to play a little here and a little there when you want to relax but still be engaged. There are even aspects that reward you taking a slow approach to the game, letting resources build up between sessions. The art is not great, but it is good enough. The sound is also average to annoying and like many iPad games I play it silently. The writing is really pretty bad, clearly weak; translation from Korean. There is a thin effort at world-building and story, but frankly, it doesn’t work. If you want a casual game that has some rich strategy, but almost no tactics, you might find it a fun as I do. It’s free, so it is worth trying out if you find the idea compelling. If you want anything more than solid progress gameplay then look elsewhere.